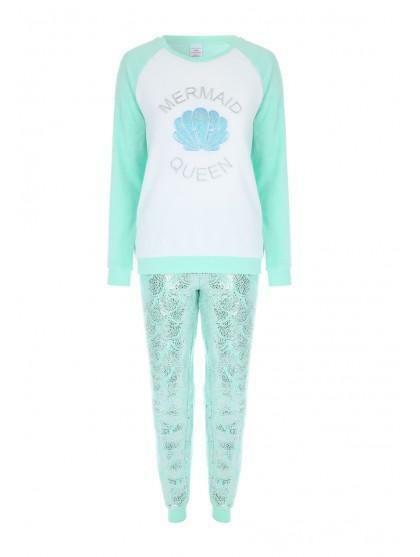 These pyjamas will make a cosy addition to your nightwear collection. 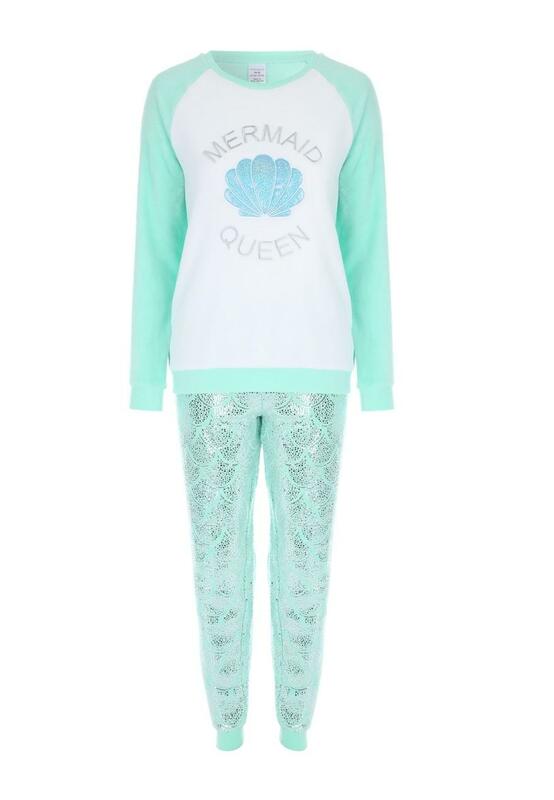 Containing a long sleeve 'Mermaid Queen' slogan top and matching printed silver scale bottoms, this fleecy set is perfect for night-time. Also available in girl's sizes so you can match with your mini me. Lovely and soft, but PJ bottoms seem poor quality compared to the top. I had to return these pyjamas as they were too big. I exchanged them for another set size 8-10. Scales are glued on not sewn.